San Francisco court just ruled that Android makes “fair use” of Java APIs for developing Android which is huge win for the java and open source communities. Moreover, it’s a big win for the future progress of the tech world. It’s not about Google or Oracle, it’s about us all who work in the tech industry and not only. Due to this trial many developers started questioning whether to use APIs at all. Just think about it! Nowadays, we use so many libraries and components which we take for granted(APIs) that if we have to write by our own would either discourage or slow down us a lot. So this win is for the progress we’ve achieved in the world for the last twenty years. 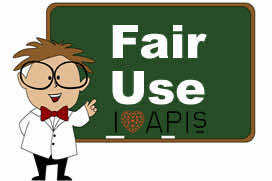 We can now continue to use APIs without thinking that later someone can come and use. We can put effort and upgrade what we currently have and not start from zero. A big relieve. I want to mention that Dreamix is an Oracle partner but the above is what I personally think. Oracle has many propriety licenses from which it fairly makes billions of dollars. It wouldn’t be for these $9 billion that they wanted from Google ($70 billion in the bank) but it would be for the court precedence which may unleash a wave of many more such litigations which will eventually lead to all of the mentioned above. In conclusion, the verdict is not final as Oracle plans to appeal. It will take several more years to hear the final verdict but till now the open source and java communities will sleep well. How do you find this verdict?